Nursing in the remote wilderness of northern Canada was a potentially perilous undertaking, but pretty Suzanne Hillard knew only exhilaration as the tiny pontoon plane splashed down on Gold Lake. 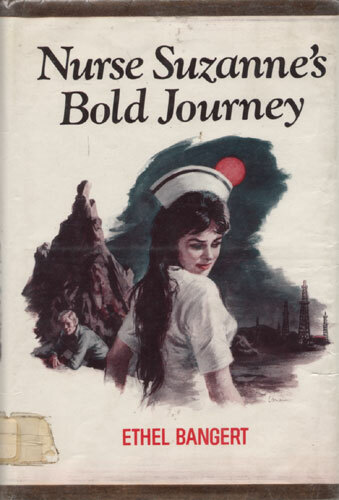 Her new job as occupational health nurse for the Whiteoak Oil Company released her not only from the humdrum routine of a large general hospital but also from the overprotectiveness of her decorous aunt Geraldine. Life at the tiny mining camp of Kupark was anything but decorous. Suzanne readily adjusted to living in a rough wooden cabin, taking her meals in the company cookhouse, and nursing out of a breathtakingly well-equipped trailer. The only thing that really bothered her — until she met Mark Bartell — was the knife she glimpsed in Pete Thunderchild’s hand. Resolutely she decided that the lank-jawed old man’s animosity would not inhibit her attempts to befriend his shy, beautiful daughter, Norell, a painter of rare talent. And then there was the problem of the Mistaseni, the huge granite boulder that was revered as a god by the local Cree Indians. The sacred rock was right in the path of the company’s projected pipeline, and as chief engineer at Kupark, Mark Bartell would have to give the order to blow it up. A clash between him and Indian geologist Angus Bear seemed unavoidable. Equally unavoidable was the explosive first meeting between the blond engineer and the dark-eyed company nurse, a confrontation that resulted in Suzanne’s being fired on the spot!